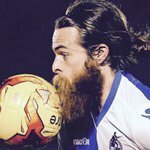 Afternoon all, I’m not sure if I’m allowed to post on here but here goes anyway, Saturday former youth team player Daniel Low will be attempting to run 10 hours straight on a treadmill at Gloucester rd fitness, he’s doing it for a great cause in the Bristol’s children’s hospital Wallace and gromit appeal. so for all those who walk past or go for a pint after the game stop by and give him your full support and try help him raise as much as possible. I have pinned this thread. A great charity to be doing it for. Got a link so we can donate? www.facebook.com/donate/823110414697650/?fundraiser_source=external_url this is the Facebook link I’m not sure if another link but will ask for those wishing to donate who don’t have Facebook. I'm not sure if that's more a mental or physical challenge. I can last 5 Mins on a treadmill, then get bored with the lack of movement around me. I guess he needs earphones and some good tv/music plus some interesting chat from gasheads. Agreed a lot of motivation from passing Gasheads will definitely help, Dan did a 10k everyday in October so he’s definitely up for the challenge. yes and tonic water. Those cramps are going to be unbearable. For all those who were interested and followed this, Dan completed his 10 hrs and ran 58miles on the treadmill. He’s raised an incredible amount of money around £11000 in total. Thanks to any Gasheads who may have donated to such an amazing cause. Did he stop at any point? Or walk? Stopped for toilet breaks, no walking.